Please login to Enjoy Multiple Benefits. Oops.Please Enter Valid Pan Number.!! Click here to indicate that you have read & gave Consent to Rupeeboss to apply for Equifax credit report . Option of more than 30+ banks and NBFC’s. a. No, but if you are an account holder of the bank who is providing you loan, is an added advantage. 2) What is the maximum loan I can get against my Property? a. You can get a Loan Against Property up to a maximum of 65%* of the market value of your property. However norms differ as per Banks & NBFCs. a. You can provide your self-occupied Residential or Commercial property (Shops and Offices) as collateral. 4) What is a loan against property? 5) If a property is jointly owned by me / an individual and his/ her relative, can they take a loan against this property? a. If you share property ownership with someone else -- spouse, business partner, relative -- it's unlikely he can take out a mortgage or a home equity loan without your consent. It's not, however, completely impossible. A lot depends on the terms of your ownership agreement, and the type of ownership that you share. 6) Can I get tax benefit on loan against property? a. No tax exemption: LAP is not eligible for any tax benefits or deductions. 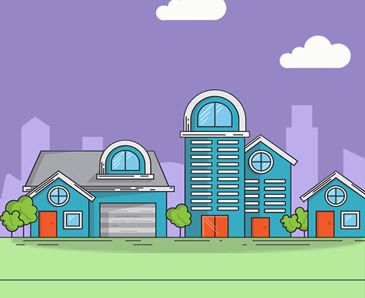 However, you can continue to claim the available tax exemptions if you have an existing home loan on the same property against which you have taken a LAP. 7) What is the difference between home loan and loan against property? a. Loan against property is offered against a property that is already in your name. Home loan or mortgage loan is taken only for the purpose of purchasing a property while loan against property can be taken for any purpose. 8) I am an NRI. Can I get a Loan Against Property? a. Yes! Bank provides LAPs for salaried NRI customers. 9) What are the loan tenure options? a. You have the option of selecting a term you are comfortable with, ranging from 5 to 15 years, provided the term does not extend beyond youreaching 65 years of age or retirement age, whichever is earlier. 10) Why should I choose LAP from Rupeeboss? a. RupeeBoss offers the convenience of online with the assurance of offline. We have 58+ banks & NBFCs options available for your loan. We providethe ease of instant approval for customer’s emergency requirement. The process of Loan Against property is simple & hassle free. We also help our customers to rectify their credit score to make them eligible for all kind of loan. Our experts try their best to get the best deal on Loan Against Property to the borrower. Your default password is . I hereby authorise Rupeeboss.com, to do all acts on my behalf as may be necessary including to execute/sign application(s), make payment of applicable fees* and generally to all other acts as may be necessary to receive, on my behalf and at my request, my Credit Information Report (CIR) from Equifax Credit Information Services Private Limited(“Equifax”) at the above said email ID or address. RupeeBoss intends to provide clear information about loans and insurance products and services. The information and data are generic in nature. Our efforts are to offer accurate and responsible data. We are not responsible for any sort of discrepancies. There is no purpose of violating any copyright or intellectual copyrights issue. All information provided on the portal RupeeBoss is subject to the discretion of the same and is likely to change without any notice. Though, any changes in public utility will be communicated immediately in our portal. We have tried to maintain high standards in quality, clarity and accuracy of the material posted on the portal. RupeeBoss is not legally responsible for the same in any matter what so ever. Employees, partners and associated staff of RupeeBoss are not accountable for any loss, harm or damage occurring due to usage of information from the portal. Customers are advised to use their own discretion in such matters. It is important to understand that loans and insurance is a subject matter of solicitation and market risks. It is the responsibility of the customer to understand the limitations of loans and insurance policies and the risks involved, we take no liability in such cases. Read the subject documents carefully. The information provided on the portal is of financial, loans, insurance and legal purposes. It is a mutual understanding that customers association with the portal will be at the customer's preference and risk. Visitors to this website/portal and every third party is hereby informed that the owners of this website/portal, viz., Rupeeboss Financial Services Pvt. Ltd, are not the agents or intermediaries of the loan provider and insurers, whose products are dealt with in this website/portal. They are also not the sub-agents or sub-intermediaries of the agents and intermediaries of the respective loan provider and insurers. Though endeavour is made to make correct policy/product comparisons, quotes, features, etc., based on the information provided by the loan provider and insurers or its agents or intermediaries, it is made abundantly clear that Rupeeboss Financial Services Pvt. Ltd, its directors, shareholders, officers and employees and rupeeboss.com are in no way responsible to or liable for any one for his/her loan and investment, and every prospect/ investor/policyholder shall be solely responsible for the consequences of his/her decision.